EDC Interiors, Inc. is a dynamic, adaptive, full-service interior design firm that values the client and fulfilling the client’s dreams above all else. At EDC Interiors, Inc., we provide clients with over 75 years of combined interior design knowledge that surpasses our competitors, especially regarding our creativity and client-centered approach. The multi-talented staff of EDC Interiors, Inc. prides itself on creating the perfect environment for each client that is suited to each client’s individual aesthetic and functional desires. To that end, our clients feel supported throughout the process of home renovation or home construction and their level of involvement is their choice. Each member of the staff of EDC Interiors, Inc. multi-tasks and works together as a team to ensure their clients feel secure and involved, every step of the way. We know, personally, that home renovation or home construction can be very stressful, which is why we are here to help reduce or completely eliminate that stress. 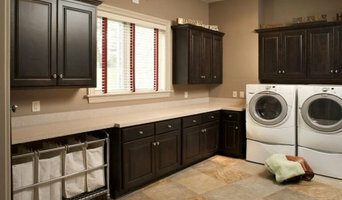 EDC Interiors, Inc. is well versed in many modalities of interior design and no two homes are ever the same. From historic homes throughout the Midwest, down into Louisiana and as far as London to glittering penthouses in New York City and Bangkok to beach houses in Florida and California, EDC Interiors, Inc. can truly do it all, bringing a client’s ephemeral idea and turning it into a luxurious, comfortable reality. If you can imagine what you want your dream home to look like, EDC Interiors, Inc. can make it a reality. It’s not infrequent that a client brings us a photograph or a magazine ad, sometimes even just a sketch or a few words jotted down on paper, and EDC Interiors, Inc. takes the reins from there, fleshing out and bringing to life the perfect home. Let EDC Interiors, Inc. create your perfect home! FEARLESS DESIGN FOR FORWARD THINKING PEOPLE Architecture & Interior Design Firm since 1994 K2 Design was founded 20 years ago and in that time, we have tested different methods in design and execution of the works. I’ve got a passion for design that is defined by FEARLESS ideas and the chutzpah to make them happen. Working on projects in our studio, here in my own beloved Florida, our satellite studio in Quebec, and abroad, that passion fuels the fire in me. I know with certainty the best results are borne from a seamless approach to architecture and interior design. Thinking K2 for your project? Some of you have experienced “simply building a house”, therefore you can appreciate the understated complexity of actually completing the job. Our approach is quite simple, no matter where on the globe, with our seamless integration of architecture, engineering and interior design complete with products, the process will BE FEARLESS. Just like any other Professionals you rely upon when it comes to making a substantial investment, K2 will privately advise you, and guide you while you keep thinking… K2 will ultimately be responsible to allocate your entire budget thru this process, a big responsibility that we deal with daily. We’re good at it. Our Design Principal – Jenny Provost, along with our crew will proactively manage your project with respect to your budget, but yet, always work to deliver FEARLESS design. From our 6000 square foot studio or your meeting location of choice, the process will always be kept simple, private, and accommodate your schedule. Our extensive experience with fly-away projects gives us an understanding that your project will require prompt reply at times, no matter where you are or where we are. Simple online communication tools will allow you to review the progress of your project to include your “wish list”, your drawings and financials reports; always keeping us both “up to the minute”, as if we’re all under the same roof until your project is completed… simple. Award winning architecture and interior design firm located in Bonita Springs, FL with projects currently in the US, Canada, and Israel. Completed projects in the Bahamas, Panama, Ireland, and England. Specializing in single family and condo coastal projects. L Design Studio is based in beautiful Naples, Florida and specializes in residential interior design, remodeling, new construction, and accessorizing. By effectively communicating with our clients, we are able to create extraordinary spaces that truly reflect our client’s sense of style and personality. 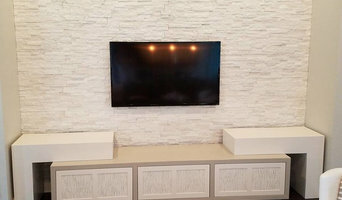 Over the past decade, L Design Studio has built strong relationships with top quality general contractors, cabinet builders, flooring and appliance manufacturers, and specialists in numerous trades, making constructing and purchasing high-end designer pieces for all areas in your home an easy process. As a result of these relationships, L Design Studio is also able to pass along outstanding prices, eliminating the need to compromise our client’s desires for their home and stay within their budget. No matter the size or scope of the project, L Design Studio delivers exactly what it promises, which allows for a painless and stress-free experience for each of its clients. We believe that design should be distinctive and memorable, so break the rules and explore the possibilities. L Design Studio will make sure that you “Love Where You Live”. Great Design, Great Value, With Certainty of Outcome... These are the benefits I have offered my clients for 27 years. With expertise that ranges from planning to construction, I use creativity, imagination, and knowledge to design and oversee projects of the highest quality. And most important, I give our clients peace of mind that their project will be completed the way it was planned. My area of expertise - turn key projects to include selection of furnishings, fixtures, window coverings, and accessories. I confer with my client to determine factors affecting planning interior environments; such as budget, architectural preferences, purpose and function. How will I assist you as my client? Help select finishes, furniture, furnishings, art works, window treatments, lighting fixtures, plumbing, millwork. Estimate material requirements and costs, and present design to client for approval. Advise client on interior design factors such as space planning, layout and utilization of furnishings or equipment, and color coordination. Subcontract fabrication, installation, and arrangement of carpeting, fixtures, accessories, draperies, paint and wall coverings, art work, furniture, and related items. Coordinate with other professionals, such as contractors, architects, engineers, and plumbers, to ensure job success. Render design ideas in form of paste-ups or drawings. Hello, my name is Carlene Zeches, President and Interior Designer for Z Interior Decorations, Inc. The company was established in 1990 and provides interior design services to residential clients, builder services, and model home design. Interior Design has been my second career following a bank operations career managing various departments for a large regional bank. Attention to expense control, managing projects and staff, budgeting and planning are skills that seamlessly transition into managing design projects for my clients. Continuing education classes, seminars, industry sponsored markets, and travel continue to challenge and inspire me to be an expert and advisor for my clients! DesigningNaples exceeds in service and resourcefulness for every client. We listen to our clients first, to make sure your project is completed correctly. Our level of experience in the industry, education & resourcefulness is applied to every project we undertake. We bring ASID award-winning credentials to the table in both design and service. And, because we believe in maximizing the potential of our partnerships, our relationships with subcontractors and trade members allows us to bring you superior craftsmanship. Sarah Anderson ASID, has been photographed & published nationally for her signature work in: NAPLES ILLUSTRATED, AT HOME MAGAZINE, CHICAGO TRIBUNE, PALM BEACH PRESS, D MAGAZINE, CHICAGO MAGAZINE, SUBURBAN LIFE (Division of the Chicago Tribune), DAILY HERALD, GULF SHORE LIFE MAGAZINE & others. 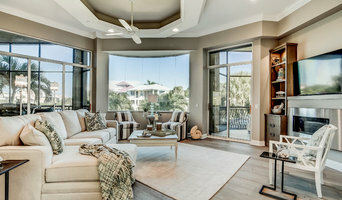 Sarah has been practicing interior design in the Naples, Bonita and Sanibel Island areas over the last ten years. She has also, served on the CHICAGO ASID BOARD OF DIRECTORS for three years.She has been a PROF MEMBER of the American Society of Interior Design since 1997. Welcoming Sarah and DESIGNINGNAPLES as a Member of the Greater Naples Chamber of Commerce in the summer of 2010, she anticipates bringing a Midwestern ethic to her signature work as FL resident. Southern Showcase was founded in 2001 as a selection center for Kingon Homes, and has evolved as one of the top design firms in the area. Whether clients require complete design services or wish to add the finishing touches to their home, Southern Showcase brings expertise in designing, decorating, and accessorizing to their clients, as well as diversity to fit any design style. Today, along with Kingon Homes, the firm offers a design team approach to its clients, creating exciting and comfortable home environments.